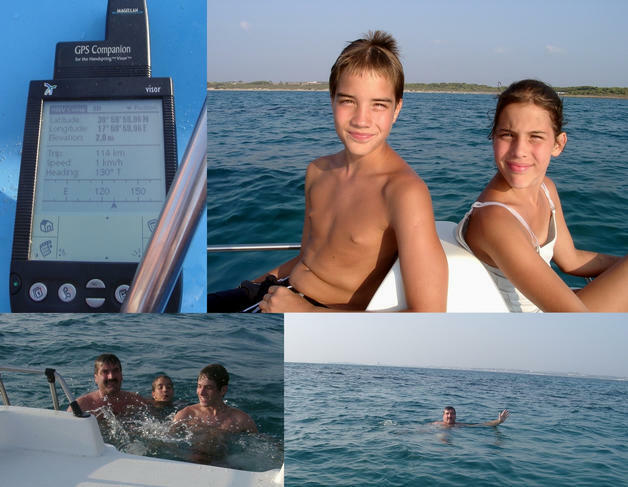 26-Aug-2001 -- From our current home in Taranto we were looking for a beach on this hot summer day close to a confluence. This confluence supposed to be offshore in the Gulf of Taranto and just south of the town of Gallipoli. So we traveled along the coast SSE for about 110 km to this place. As we tried to approach the spot directly we were stopped by a gate to a ‘Private property’. 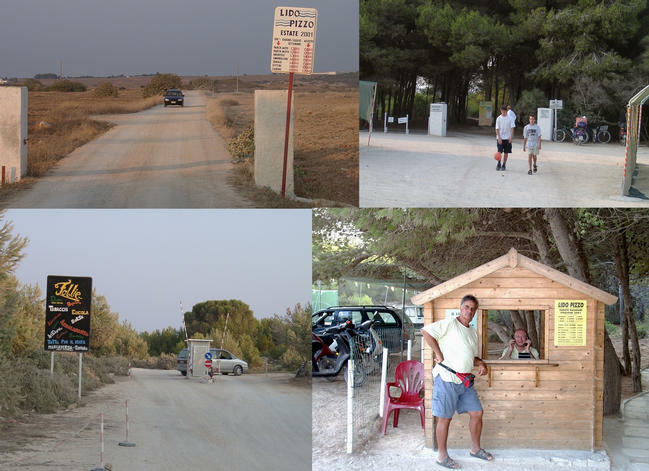 So we turned right towards the ‘Lido Pizzo’ (Pizzo Beach), where we had to pay an access fee. From this beach we could freely access the part of the coast closest to the confluence and just beyond the ‘Private property’. We walked along the coast and hit the exact longitude of 18°E but still about 250 m away from the spot, out in the bay of Gallipoli. So we had to rent a boat to get to the confluence, which was quite easy in spite of a holiday resort. We had to wait about 2 hours since the beach was busy on this last day in the season in Italy. So we spent this time on the beach with great pleasure. With the boat it was easy to get to the spot. To maintain the position was difficult because of the waves. The crystal clear water invited us for a swim. 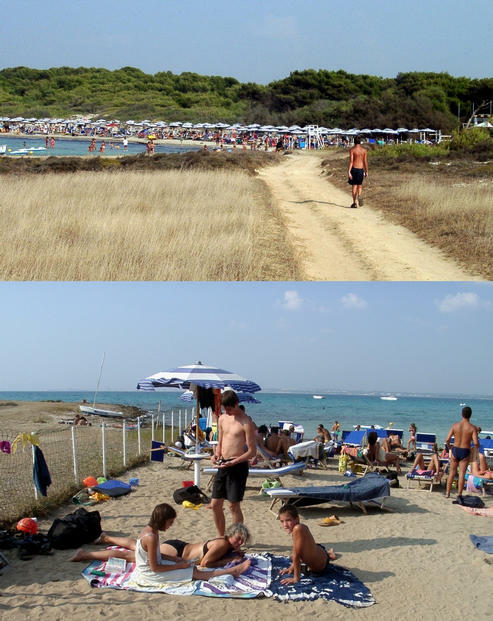 We guess that depth is about 10 m and there is no way to walk like on most beaches in the Gulf of Taranto. In the sea south of Gallipoli, only about 260 m from the shore. The water is about 4 m deep at the Confluence.